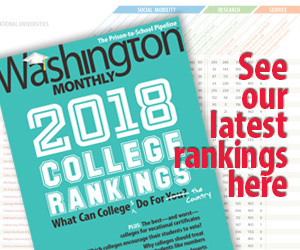 Washington Monthly | Is College Affordability Destined to Fall By the Wayside This Election? Is College Affordability Destined to Fall By the Wayside This Election? 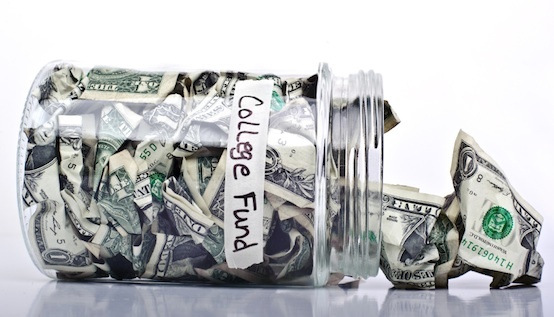 The cost of college is a hot topic around kitchen tables and on the campaign trail. But will it be a year from now – when Americans vote for a new president? A new WGBH News poll indicates there’s increased interest now, but history tells us other themes will probably surpass it in the general election. Meanwhile, on the stump, Vermont Senator Bernie Sanders receives thunderous applause whenever he calls for making public college tuition free. “We will end the absurdity of millions of Americans — young and not so young — who are shouldering outrageously high levels of student debt,” Senator Sanders said during a rally in Boston last month. In Republican debates, student debt has taken a backseat to other hot button issues like immigration and tax policy. But Florida Senator Marco Rubio does occasionally complain about his own student loans. Related: Would You Recommend Community College Over Four-Year College? A new WGBH News poll shows Americans are plugged into this issue now and many will consider the candidate’s position on college affordability when they vote. 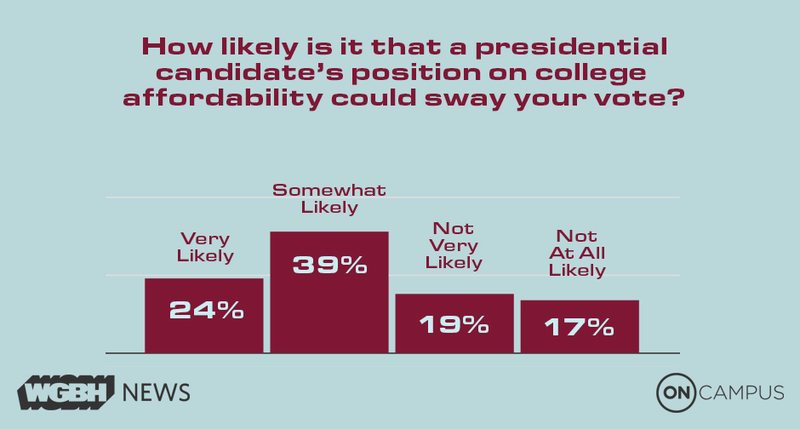 A majority of those polled said they are “very” or “somewhat likely” to be swayed by what the candidates say they’ll do to bring college costs down. That interest is higher among Democrats than Independents and Republicans. “I don’t know if it will be a top issue, but I think it will rise substantially on the list of issues that candidates are talking about,” says Paul Reville, a professor of Public Policy at Harvard’s Graduate School of Education, and former Massachusetts Secretary of Education. Reville predicts college affordability won’t be a deciding factor in November 2016 because it will be overshadowed by other issues like immigration and the economy. “That isn’t because people don’t care about education. If you ask voters what they care about, education is frequently at or near the top,” says Reville. In the general election, Reville explains, the debate will shift away from the specifics of college affordability proposals and toward a philosophical discussion about the role of government spending in bringing down the cost of college. A massive spending issue, but not necessarily one that will catapult any individual candidate into the White House next November.